A drop in the solar wind of a kind never yet seen in the space age has made travel beyond Earth orbit a lot more dangerous, according to boffins – so much so that a manned mission to Mars may not be feasible for many decades. 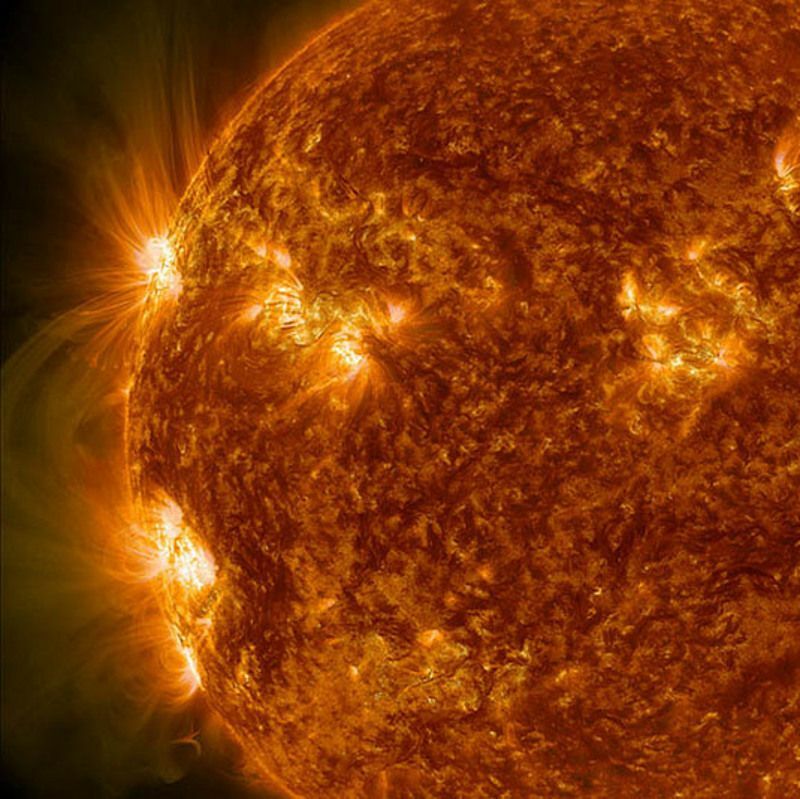 It’s a story we’ve already reported on here at the Reg: some solar physicists, noting that the current “solar maximum” is an especially damp squib, suspect that the Sun may be entering a so-called “Maunder Minimum”, a lengthy spell of low to no activity. Such a minimum occurred from 1645-1715. The down side of this from a deep-space astronaut’s point of view is that the solar wind normally has the effect of reducing the amount of dangerous cosmic radiation that can reach the inner solar system. While particles and radiation from the Sun are dangerous to astronauts, cosmic rays are even worse, so the effect of a solar calm is to make space even more radioactive than it already is. Deep-space astronauts, of course, are even rarer than normal astronauts. A normal astronaut travels only to low Earth orbit – as on a mission to the International Space Station, for instance – where he or she remains well protected by the Earth magnetic fields. The only astronauts who have ever been further from Earth than this were the Apollo moon explorers of the 1960s and 70s, and they went only on brief missions, carefully timed to reduce radiation risks. Schwadron and his colleagues have been assessing data from an instrument called the Cosmic Ray Telescope for the Effects of Radiation (CRaTER) aboard NASA’s Lunar Reconnaissance Orbiter currently circling the moon. The LRO was originally intended to scout ahead of a new US manned moon programme, and as such one of its purposes was to assess the effects of radiation on astronauts. Galactic cosmic radiation presents a more significant challenge: the time to 3 per cent Risk of Exposure Induced Death (REID) in interplanetary space was less than 400 days for a 30 year old male and less than 300 days for a 30 year old female in the last cycle 23–24 minimum. The time to 3 per cent REID is estimated to be ~20 per cent lower in the coming cycle 24–25 minimum. If the heliospheric magnetic field continues to weaken over time, as is likely, then allowable mission durations will decrease correspondingly. For the sake of planning, a 3 per cent risk of an astronaut dying due to radiation exposure during a mission is seen as the acceptable limit: it’s a dangerous job, after all (one should note that the death would probably be after the mission from cancer, perhaps many years later, rather than from severe radiation sickness while still in space). From Schwadron and his crew’s analysis, if a lengthy solar quiet spell is indeed on the cards, the maximum time an astronaut can reasonably spend in space will be well under a year. That’s potentially bad news for a Mars trip, as under current planning assumptions both outward and return flights would take six months – and further exposure would be suffered during time spent on Mars, though less than the same period spent in space. “While these conditions are not necessarily a showstopper for long-duration missions to the moon, an asteroid, or even Mars, galactic cosmic ray radiation in particular remains a significant and worsening factor that limits mission durations,” says Schwadron, gloomily. The scholarly paper setting out the team’s research can be found here, published by the journal Space Weather. It would seem that travel by living humans to and from the red planet may never be very practical using the current methods: feeble chemical rockets can propel only very lightweight spacecraft that offer little or no protection against radiation, and mean that they must coast unpowered most of the way, taking a long time. If human beings ever aspire to travel much beyond Earth orbit, we’re going to need something better: something most likely nuclear powered, certainly for manned spaceflight purposes. That would cut journey times and allow for more shielding. The great science-fiction writers of the past almost unanimously assumed that nuclear space propulsion and/or power generation would have to appear for any serious space travel to take place. Former NASA astronaut Dr Franklin Chang Díaz has suggested that nuclear plants of the type used in submarines could power his VaSIMR plasma rockets to take a crewed ship to Mars in a month. SpaceX, the rocket firm run by famous tech tycoon Elon Musk – well-known to be keen to get people to Mars – has expressed the opinion that NASA should work on nuclear-thermal rockets for manned flight to the red world. Many decades into the “space age” there’s no sign that NASA is seriously moving to produce anything like that, however, and the general fear, distrust and intensive regulation surrounding anything nuclear means that only a powerful national space agency has much prospect of success.